A five-part workshop dedicated to the study of amateur filmmaking practice and bringing together a group of archivists, filmmakers, historians and curators. 24 September 2018 – February 2019. The project is curated and coordinated by Karianne Fiorini and Gianmarco Torri, and organised and promoted by Lab80 / Archivio Cinescatti (Bergamo), Associazione Museo Nazionale del Cinema / Superottimisti (Torino) and Società Umanitaria / CIneteca Sarda (Cagliari). Funded by Sillumina /SIAE and by the MIBACT (Ministry of Culture). For more information see L’eredità ritrovata. On the occasion of the 60th anniversary of Academic Kino Club, founded in Belgrade (then Socialist Yugoslavia, now Republic of Serbia) in 1958, the Alternative Film/Video Research Forum 2018 will be dedicated to the international histories of kino clubs in Europe and beyond. There is a particular postwar history of kino clubs in Socialist Yugoslavia that is rooted in an official state movement to disperse technical cultures into the hands of non-professionals. These technical cultures included photography, radio, and cinema, among others. It was in the kino clubs where new aesthetics were born, also a new politics of amateurism. A new type of cineaste was forged in these clubs, and they quickly exerted their influence over professional production from the 1950s through the 1970s – widely considered the golden age of many European national cinemas, and not for coincidental reasons. The clubs operated mostly as free spaces, where ideological interference from without was at a minimum. Filmmaking was practiced, but also theory was produced, as well as exhibitions, publications, and more. Some of these clubs are still active, with histories stretching back to the interwar period, but with geo-political contexts and technological means that continue to shift regularly. A complete and proper international history of cinema cannot be written without these clubs, though they have not often been at the forefront of research or curatorial portfolios. In Socialist Poland the kino clubs were often attached to factories, and existed for the edification of workers. In Socialist Hungary they sometimes functioned like studios. In Western Europe they commonly engaged in distribution and exhibition. In North America they often situated themselves on the front lines of socio-political struggles. These varied histories demand further complication and exploration, and to be placed into the context of their counterparts across the globe. This intersectionality will be the work of the 2018 Research Forum – for a different genealogy of kino-enthusiasm, and for a different international kino culture. This one-day event running concurrently with the festival Alternative Film/Video in Belgrade will assemble a group of curators, critics, artists, and researchers for an intimate encounter where presentations will be delivered and discussions held on the topic as outlined. We are accepting abstracts of 300 words along with short biographies of 150 words for consideration. Selected participants will be given support toward their accommodation in Belgrade but are asked to cover travel expenses on their own. Please forward inquiries and submissions to Greg de Cuir Jr, selector for Alternative Film/Video, no later than 15 September 2018 at gdecuir@yahoo.com. The Alternative Film/Video Research Forum was established in 2012. Participants have included artists such as Marina Gržinić, Ivan Ladislav Galeta, and Dirk de Bruyn, researchers such as Miriam de Rosa and Terri Francis, curators such as Shama Khanna and Bruce Posner, and others. The founding curator of the Research Forum is Greg de Cuir Jr.
‘La ville et les cinéastes amateurs‘ conference, 16 May 2018, Chapelle Saint-Sulpice, Chemin de Tivoli, étang de l’Olivier – 13800 Istres. Organised by Cinémémoire. Keynote speaker:Professor Roger Odin. BAFTSS Amateur Cinema SIG panel, 13 April 2018, BAFTTS Conference, University of Kent, UK. ‘This dissertation analyzes the cultural dynamics of home movies in the twentieth century. 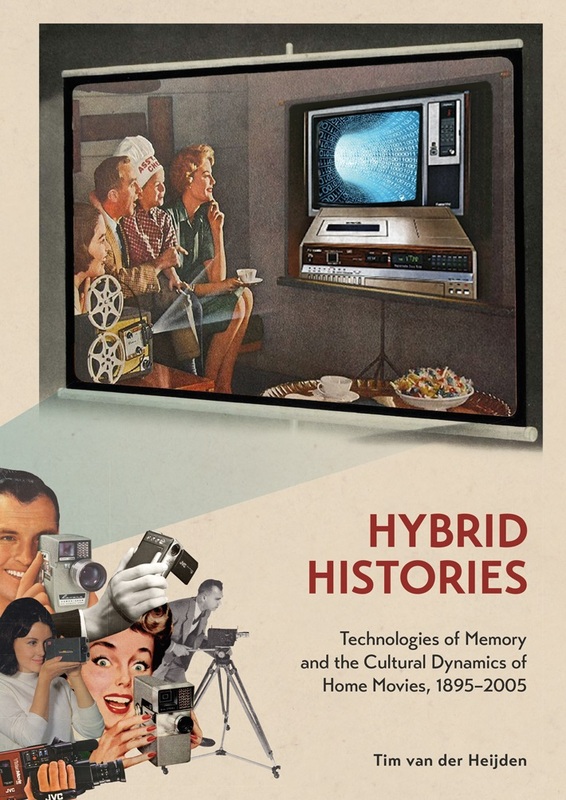 It investigates how various generations have recorded their family memories on film, video and digital media, and, more specifically, how changes in these “technologies of memory” have shaped new forms of home movie making and screening. Covering the period from the invention of the film camera in the late nineteenth century, the introduction of 9.5mm, 16mm, 8mm small-gauges and Super 8 film technologies for amateurs, via home video to digital media technologies, this study addresses the complex interrelations between the materiality of film, video and digital media technologies, their social usages and cultural meanings from a long-term historical perspective. Focusing on specific periods of transition, it becomes clear that different media technologies, user practices and discourses not only succeed each other in time, but also increasingly interrelate, interact or even transform each other. Maintaining both a diachronic and a synchronic perspective on media transitions, this dissertation proposes an alternative form of media historiography that rethinks media histories beyond the frameworks of change and continuity by perceiving hybridity as a constant factor in media historical development. The research for the dissertation was carried in the context of the “Changing Platforms of Ritualized Memory Practices: The Cultural Dynamics of Home Movies” project funded by the Netherlands Organisation for Scientific Research (NWO). It entailed a collaboration between Maastricht University, the University of Groningen, and the University of Luxembourg as well as several partners from the field of cultural heritage in the Netherlands and abroad. For more information about this research project, see the weblog. With reference to private and regionally held archive material by different women amateur filmmakers, this presentation explores how colour film offered opportunities to explore personal interests and places of significance. Two Yorkshire women, Lucy Fairbank, an unmarried infant teacher and May Webb, the married manager of a York camera shop, may both be seen as pioneers in how, where and when they filmed before colour television became widely available. Dr Heather Norris Nicholson currently works as an independent cultural and community historian and has honorary research links with Manchester Metropolitan University and the University of Huddersfield. Interests in amateur film and visual story-telling span many years and interweave with preoccupations with travel, landscape, belonging, memory and identity. Publications include Amateur Film: Meaning and Practice, 1927-77, 2012,MUP) and (co-written with Annamaria Motrescu-Mayes) British Women Amateur Filmmakers: National Memories and Global Identities ( EDUP). Queen Elizabeth II’s colour home movies are compelling visual records on issues of gender identity and class hierarchies. As a visual storyteller, the Queen proved in many of her amateur films a sharp sense for significant facts, colour, light, and composition. This is evident alongside details challenging customary perspectives from which imperial and post-colonial autobiographical visual accounts are historically negotiated. Moreover, most of the Queen’s home movies dislocate the master narratives common to the amateur filmmaking practice in the 1950s and 1960s by adding a vigorous and surprising sense of unconformity, especially when recording domestic scenes that contradict, and humorously challenge, popular expectations for stereotypical depictions of royal etiquette. This presentation will discuss several scenes belonging to Queen Elizabeth II’s home movies collection. Dr Annamaria Motrescu-Mayes is a Visiting Lecturer in digital and new media anthropology at the Department of Social Anthropology, University of Cambridge, affiliated scholar and guest lecturer at the Centre of South Asian Studies (Cambridge), Fellow of Clare Hall, and member of the Cambridge Digital Humanities Network. She is a visual and digital humanities scholar working on British imperial studies, theories of media, and issues of racial and gender identities. Her research and teaching employs new theoretical models drawing on visual culture, cognitive psychology, and postcolonial studies. She has published extensively on colonial amateur film practice, and is currently co-authoring with Susan Aasman a volume on ‘Amateur Media: Film, Digital Media and Participatory Cultures’ (forthcoming Routledge, 2018). This presentation considers two recent projects at the University of East Anglia that have adopted a different strategy towards amateur filmmaking studies than the dominant place-based approach found in much academic work and in initiatives such as the BFI’s Britain on Film project. These projects – “Women Amateur Filmmakers in Britain” and “The Eastmancolor Revolution and British Cinema, 1955-85” – have overlapping interests around the production practices, technological choices, and aesthetic approaches of women amateur filmmakers working with colour processes from the middle of the twentieth century on. The projects have also both worked closely with the collection of British amateur films from the Institute of Amateur Cinematographers (IAC), held at the East Anglian Film Archive (EAFA), and will reflect on their findings to date. In the first half this presentation, Keith M. Johnston will cover the Women Amateur Filmmakers project, including the identification, cataloguing and digitisation of over 100 films, and consider the rich vein of women-produced films that span seven decades of the twentieth century. These films feature a variety of genres (drama, comedy, animation, documentary, travelogues), modes of production (single author, team, husband-and-wife collaboration), and technological adoption. An important aspect of that technological story is around the range of colour processes found in these, and other, amateur films. In the second half, Paul Frith will cover the Eastmancolor project’s engagement with the technological opportunities and limitations of amateur colour processes: focused on the production and aesthetics of colour films from the Women Amateur Filmmakers collection, he will explore how the amateur community worked together to develop experimental techniques that were employed to duplicate the technological accomplishments of the industry. Dr Paul Frith is a Research Associate working on the Eastmancolor Revolution project at the University of East Anglia. He received his PhD from UEA in 2015 and was employed by the British Film Institute as a Conservation Specialist (2013-16). His PhD thesis addressed the commonly held misconception of a so-called ‘horror ban’ in Britain during the 1940s through alternative approaches to both censorship and discussions of the horror film. He is currently researching the use of colour in amateur cinematography and horror film censorship during the rise in colour production in Britain during the 1950s. See “Participatory new media and trauma ‘I’-documentaries” panel, i-Docs Conference, Bristol (UK), 22 March 2018.